The Amazing Race is coming to Norway! Norwegian TV-channel "TV2" will film their version of the show starting in january 2012. When the show does air, if non-norwegians wants to see it, I can translate it if someone just shows me how! (And if someone makes a torrent out of it). We will need English subtitles. And... it'd be better if there could be Chinese subtitles. I must get my auntie to audition for this! Hopefully the race will not just be in Europe, but sounds good! Your aunt lives in Norway? Cool! According to Wikipedia, the host will be Norwegian soccer player Freddy Dos Santos. Yup, that's right. I think he'll be a good host, but no one is better than Phil. Hopefully they will come out to Australia. New article, thanks to Leafsfan! Among the many great initiatives, we find that the company believes is the biggest reality production in Norway ever, The Amazing Race . In this reality series to 11 couples compete to deal with challenges and different show to get to the most exotic countries - despite the constant obstacles. Each pair travels the world with its own camera crew, and the result is that over 60 people traveling from Oslo TV2. Only two of them return home as winners. Presenter is beginner Freddy dos Santos, formerly known as a footballer at Vålerenga. The series has been for years in the U.S., and is, according to TV2 world's longest running reality concept. The show will premiere in April, so I guess the race will be filmed in january/february. The race will start and finish in Oslo. Wow, this is weird. One of the production guys just revealed on his facebook that he has for the last 19 days gone through the entire race course. The contestants will not use 19 days though, since they will get more rest. The contestants will visit 15 different cities in many countries, have 15 flights, and travel 43.000 km. OMG. I definitely need a TAR:Europe Edition, please please please. 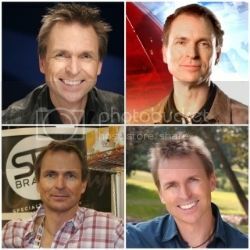 The host of The Amazing Race Norway..
'There is currently a well kept secret which countries to visit. But dos Santos, with ten years as well traveled footballer in Vålerenga, still gives a small indication. Travel Route is fantastic, I've never been to any of the countries we visit, he said. Norway and Phillipines are the next homework... or assignments?!? LOVE we get the contestants reveal today!! I love how they revealed the contestants this early because that means it will be easier to identify teams. One of the tweets I found had the racers at the Dubai Mall running past P. F. Chang's restaurant. I looked at a map of the mall and P. F. Chang's is on the Lower Ground floor. That floor has dozens of restaurants, Arabic clothing stores and numerous banks. I can't see anything they would be going to except that there appears to an elevator going to the 124th floor observation deck of the Burj Khalifa tower, the tallest building in the world. My speculation is that they are headed there. However, Dubai Mall is the largest mall in the world, so it's very possible they could be going somewhere else. There is a snow areas inside the mall, isn't it? I think so. TAR went to the ski slope several seasons back but I'm not sure if was there or if there is another mall in Dubai where it might be. They could be going there.